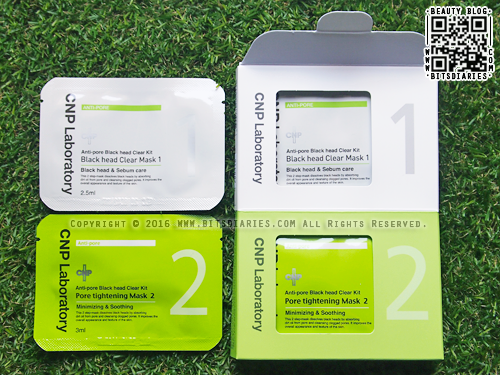 A few weeks ago, Q-Depot contacted me asking if I would like to try out and review the PACK-age Float Mask Bundle. You guys know I love masks so much so I jumped at the chance and I was beyond excited when the package arrived in my hands. Thanks to Q-Depot for giving me this opportunity. For those who are new to Q-Depot, it is an online store that offers a wide range of Korean Skin Care and Cosmetics from popular brands like Etude House, Laneige, Innisfree, Sulwhasoo, Iope and many more. All products they sell are 100% genuine and fresh, directly shipped out from Korea. The best thing about Q-Depot is that they ship worldwide! If you are looking for an online shop where you can shop for Korean products, you can feel free to check them out. 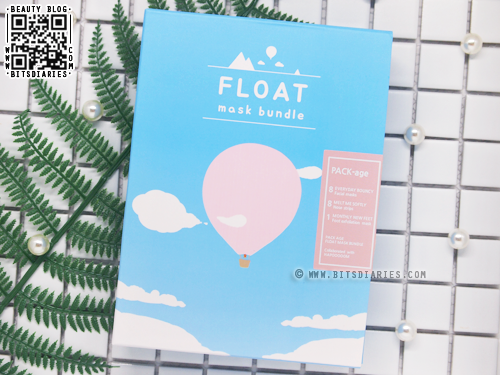 PACK-age Float Mask Bundle contains 17 masks that provide everything your skin needs in one convenient box. The set is packaged in a drawer style box, and the cute design is by Hapooooom, a young Korean illustrator of hot air balloon travel series with the concept of small happiness in daily life. Hello lovelies, I'm back with another product review. I had allergic reactions on my fingers from band-aids in January, and it lasted for three weeks. Back then, I was told by a doctor to keep my hands dry at all times and wear gloves when coming in contact with water. For the first two days, I tried washing my face with gloves and it hurt my face, so I stopped using a facial cleanser. I only washed my face with water for the next few days, and I ended up with breakouts. From then, I know I can't continue washing my face with only water, so I got this electric face cleanser brush to help me out which I'll be talking about today. 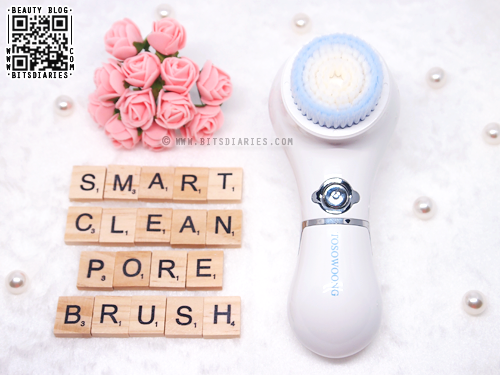 Tosowoong Vibration Smart Clean Pore Brush is a three-dimensional waterproof electric face cleanser featuring a micro-fine brush that reaches deep into pores to cleanse thoroughly, restoring skin's cleanliness and vitality. It is designed for all skin types, including sensitive skin. Hello guys! I'm back with another overdue review. Before I jump into the review, I have something to say. In my previous post, I mentioned that I lost my Line account. So I've lost all data including contacts. Today, I finally recreated a new Line account using the same ID. If you have any question, you can add me on Line (ID: bitsdiaries) and drop me a message. Let's get back to the review. Please excuse the year stamped on the pictures. The Face Shop x Disney Ink Gel Stick is a saturated lipstick that gives highly-pigmented color, and the color stays true just like ink. It contains safflower seed, rosehip seed, and European plum seed which helps to moisturize the lips. Gosh... I don't even know how to start this post. It's been nine months since I last wrote a blog post...and honestly, I have forgotten how to write a blog post. Lol. For the past nine months, I was in China. And I did plan to update my blog while I was there. But I didn't know some websites like google, blogger, twitter and many more are blocked in China. Apart from websites, Line app is blocked too. The only way to access to these websites and app is to use a VPN, which I don't use. So that's the reason why I haven't been updating and replying to your messages. And also, I lost my cellphone while I was in China. I know someone registered a new Line account using my sim card no., which was formerly used to register my blog Line account, causing my account to be deleted. I know it because I received a notification on my another Line account saying a new friend named "Ezio" was added... Therefore, I'm sorry, I can't reply to all the messages sent through Line. They were all gone. Some of you sent me emails asking why you can't add me as a friend on Line and this would explain why. Now I'm back! I will continue to keep this blog active. Just thought I'd let you know, I have a whole lot of overdue reviews to post. Today I will start off with a hair product. 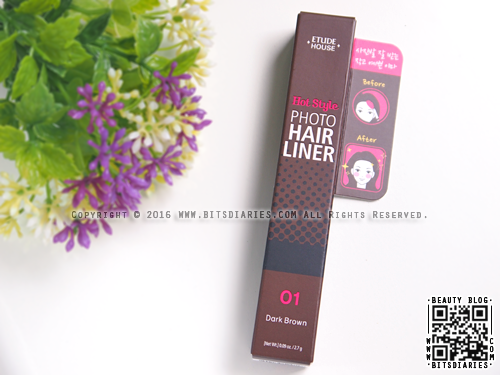 Etude House Hot Style Photo Hair Liner is a dual-type pencil that helps to camouflage bald areas and make it look less bare. It's available in two shades dark brown and light brown. I got it in dark brown. Over the course of my blogging journey, I get asked a lot of times about how to get rid of blackheads. So today, I'm going to share with you a gentle yet effective blackhead remover product that I recently discovered, and it is my current favorite product for removing blackheads. 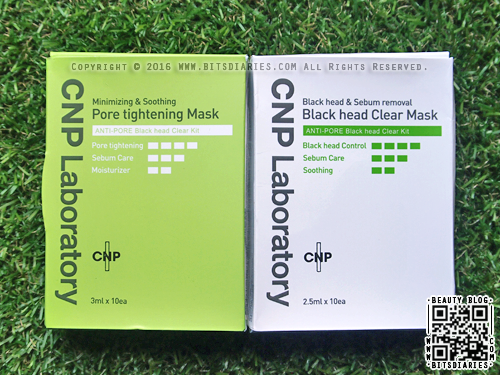 It is the CNP Laboratory Anti-Pore Blackhead Clear Kit. This 2-steps hypoallergenic mask kit promises to melt blackheads and excess sebum effortlessly and also helps to soothe skin and tighten pores.